Basic Frame consists of all round tube complete with laser cut parts and tig welded as shown. 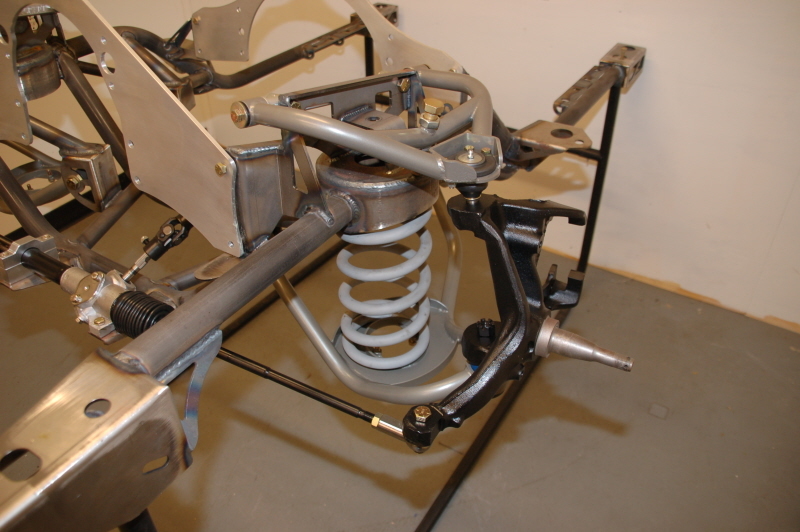 Our frame will save you 150lbs immediately and give you all the caster you want and near zero bump steer. This is the best round tube frame in the market, quality is unsurpassed. Big Spring - Big stock spring that store energy for lower horsepower cars. 1000hp below. Coil over - Big horsepower cars that do not need weight transfer/store energy. This Frame fits 2nd Gen Camaro (70-81). All round tube with your choice of chrome moly or mild steel. All bracketry is laser cut with lightening holes and tig welded. They are also available in big spring version (stock style spring) or coil over spring. These frames are for motor plates only. Stock upper and lower control arms will work as well. All frames are made to order.